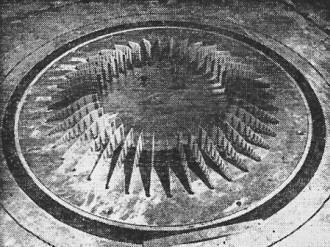 I would love to see a modern electromagnetic (EM) field software simulation of this antenna design. 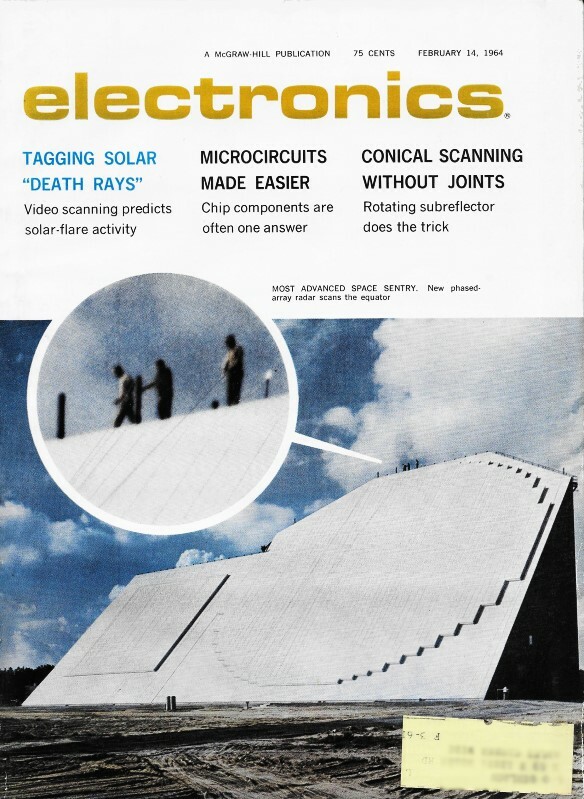 Imagine attempting a ray-tracing model of the symmetrical combination of multiple linear and circular radiating elements of the antenna shown in this 1964 article that appeared in Electronics magazine. Doing so would have required hours of expensive time on an ENIAC or weeks from a team of woman "computers" such as the kind NASA used for plotting Apollo trajectories (see Hidden Figures). I'd like to see Joel Hallas (W1ZR) model it in EZNEC. 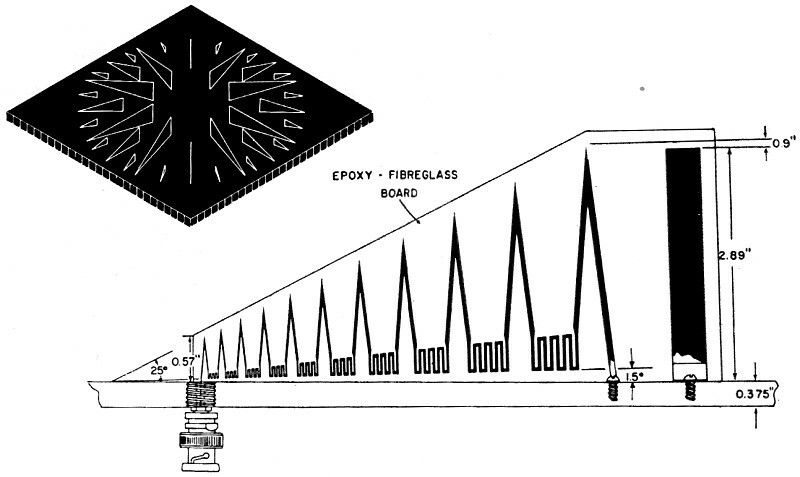 Supposedly, at least one working WARLA (Wide Aperture Radio Location Array) system was built and tested, but details of the results are not provided (probably classified at the time). 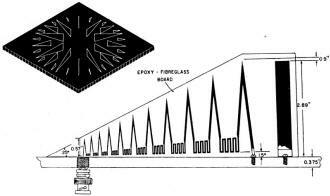 Urbana, Ill. - University of Illinois' radiolocation lab is working on a new style of directional antenna array - one that would use frequency-independent, log-periodic elements. It could be used for directional long-distance transmission and reception. Electronic scanning of 160 elements in a 1,000 to 2,000-foot­diameter array could spin a fan-shaped beam, 1 to 30 degrees wide, around the horizon several times a minute, Prof. Paul Mayes reported at the University's antenna forum two weeks ago. The lab now operates a Wullenweber antenna. The new system, called WARLA (Wide Aperture Radio Location Array) being developed by the University and Navy, would update that installation. Where folded monopoles of the Wullenweber limit its operations to receiving, WARLA's log-periodic elements could be used for transmitting in a global, point-to-point, military communications network, according to John Greiser, of the lab. Frequency range of the Wullenweber is 4 to 16 Mc. WARLA's is 2 to 32 Mc. Beam width would change from 30 degrees to 1 deg, the beam's pointing accuracy from 1 degree to 1/4 deg, and gain from 35 db to 20 db as transmitting frequency rises. Transmitter powers could range upwards from 30 kw peak and 600 w average. By exploiting skips from atmospheric layers, which could become double hops around 32 Mc, range could be 2,000 to 3,000 miles. The lab is now working with a scale model operating at 1 to 3 Gc, with elements reduced 500: 1 in size. For a full-size antenna, a three-band configuration (sketch) could be used. At 2 to 5 Mc, 40 large elements would be activated, at 5 to 32 Mc, 40 intermediate elements would go into operation, and at 12.5 to 32 Mc, a final set of 80 smallest elements could be used. The number of elements may be reduced in the final design.